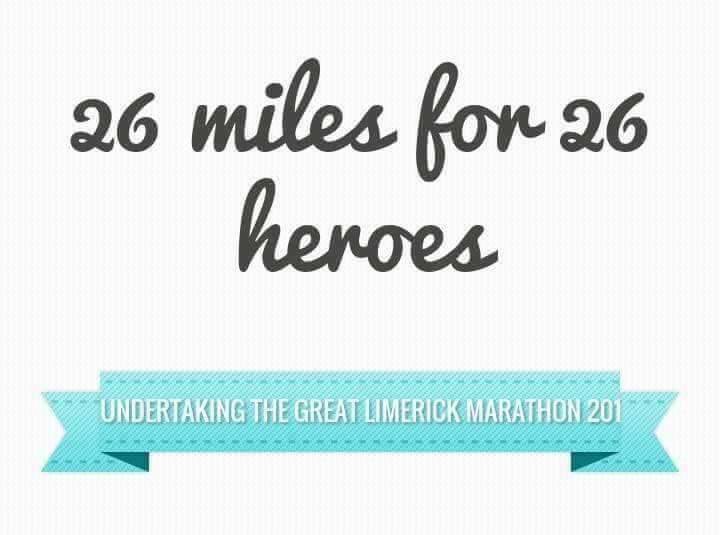 Cliona’s Foundation are so delighted to be taking part in the 26 Miles For 26 Great Limerick Heroes event on May 3rd in Limerick. It is a great initiative where people are coming together to raise awareness for the many wonderful charities helping families and communities in Limerick. Each organisation has had a mile dedicated to them, Cliona’s Foundation have been given Mile 15. Mile 15 means so much to us as Cliona was only 15 when she passed away. We will be running that mile with our heads held high in honour of Cliona.